As of January 31st first marks the 3rd year of For Honor release and with that brings the year of Harbinger. Along with the new year comes Year 3 pass, four new heroes, balances, and changes to old characters along with gameplay. To get caught up on what many missed so far in the land of For Honor you must know there is now a new faction which is called the Wu Lin. The Wu Lin brings four new characters to the game and are unlockable at the prince of 15000 “steel” which is in-game currency. 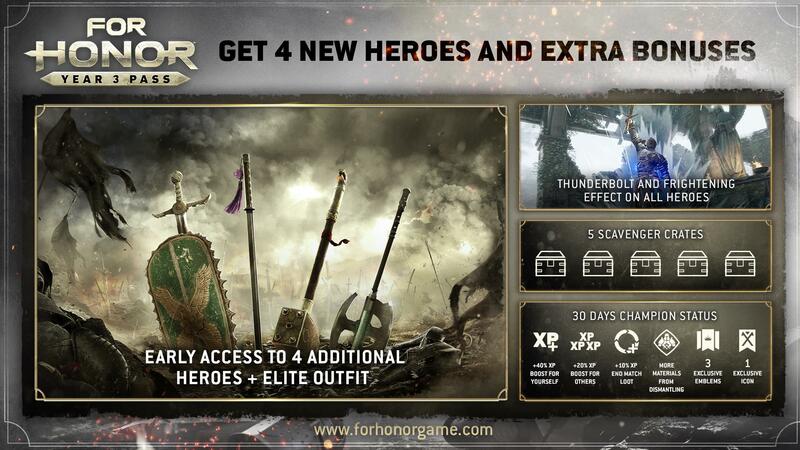 Now if you wish to unlock all four new Wu Lin characters the expansion pass called “Marching Fire” which gives you elite skins for each new Wu Lin, breach a new multiplier mode and the arcade mode which is a PvE co-op new mode that allows you fight challenging enemies under certain buffs and debuffs to your own character and enemies all for the price of $29.99. A few months after the launch of ‘Marching Fire’ a year 3 pass was announced for 29.99. 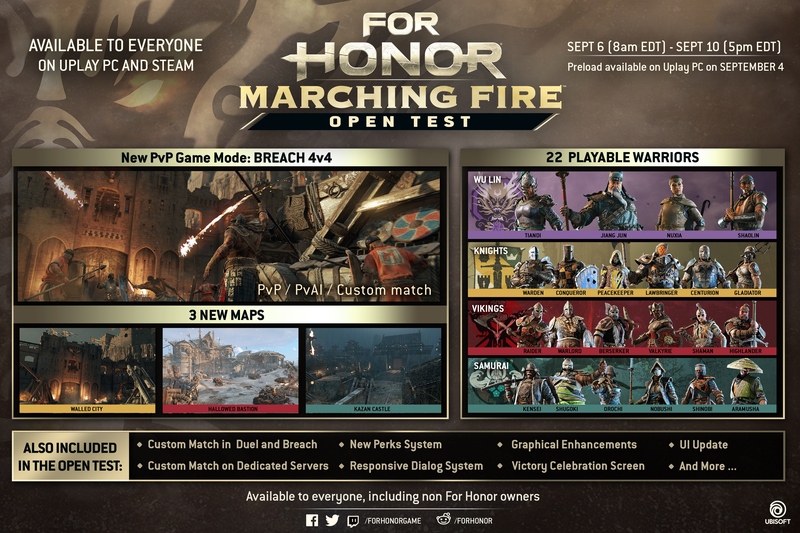 There was some conflict between the community since many paid for the Marching Fire expansion and no less than three months out there was Year 3 Pass. I personally did not see a problem as all the characters will be unlockable with in-game currency the only difference having the Year Pass allows you one week early access to the new hero before non-year pass holders. Look at the picture for Further Detail. Will For Honor make it another year with so many games coming out in the new few months? Take a Look at Vortiger of the black prior in the new cinematic trailer. More information on the character will be told on the 19th of January on the next warrior’s den.